A bathroom can quite easily be one of the coldest rooms in the home; especially when the winter sets in (as it is as I write this). In order to provide a comfortable setting in your bathroom it is important to make sure you get the right bathroom radiator. This means choosing the best style as well as heat output; there’s no point having a beautiful radiator if it isn’t heating up the room properly. If you’re lucky enough to have more than a £300 budget for a bathroom radiator then you’re only issue is the huge selection to choose from. No matter what style, colour or size you have in mind there is a huge range to choose from; it’s a bit of a gift and a curse if you will. Fortunately, our team of heating experts have gone through this huge range with a gold-plated fine toothed comb to pick out several bathroom radiators to help you choose! From designer radiators; ideal for creating a stunning look that oozes quality and style, to traditional bathroom radiators; perfect for period homes and classical tastes, and modern radiators; featuring chrome finishes, colourful designs and energy efficient settings, we aim to include something for everybody. If you have a burning desire to choose the best bathroom radiator for your £300 budget then read on to find out which radiators we think you’ll love! Add splendour and style to your traditional bathroom with this elegant towel rail. This lovely little cast iron bathroom radiator features high quality construction and column radiator design; ensuring long life and excellent heat output. What could you buy with the change? You'll need some traditionally-styled radiator valves for this Bampton bathroom radiator and what better choice than these elegant Faringdon Thermostatic Radiator Valves in Antique Copper? 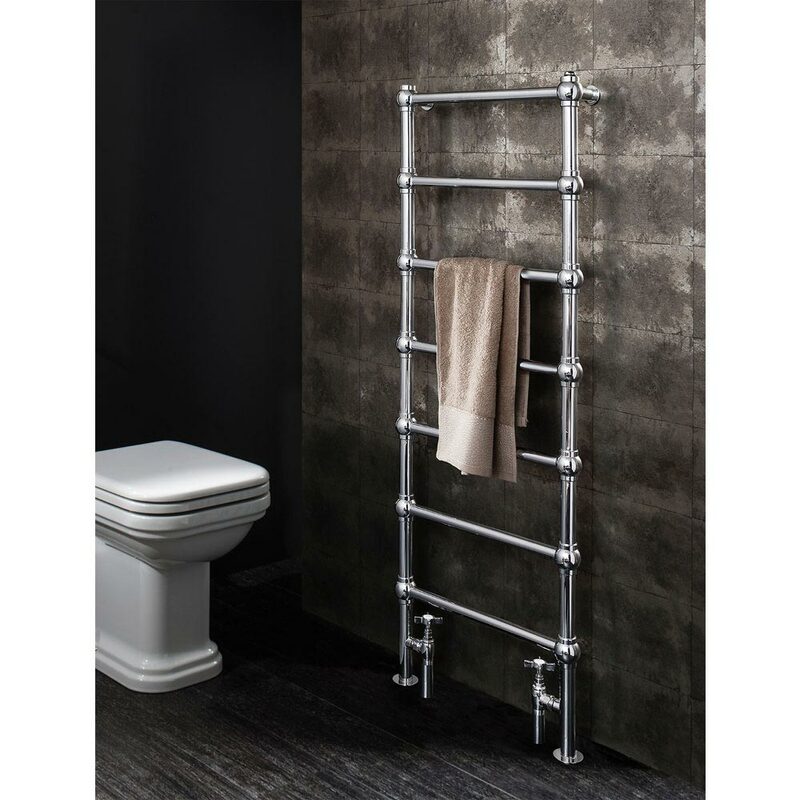 Give your bathroom a stylish uplift with this bathroom radiator in polished steel. 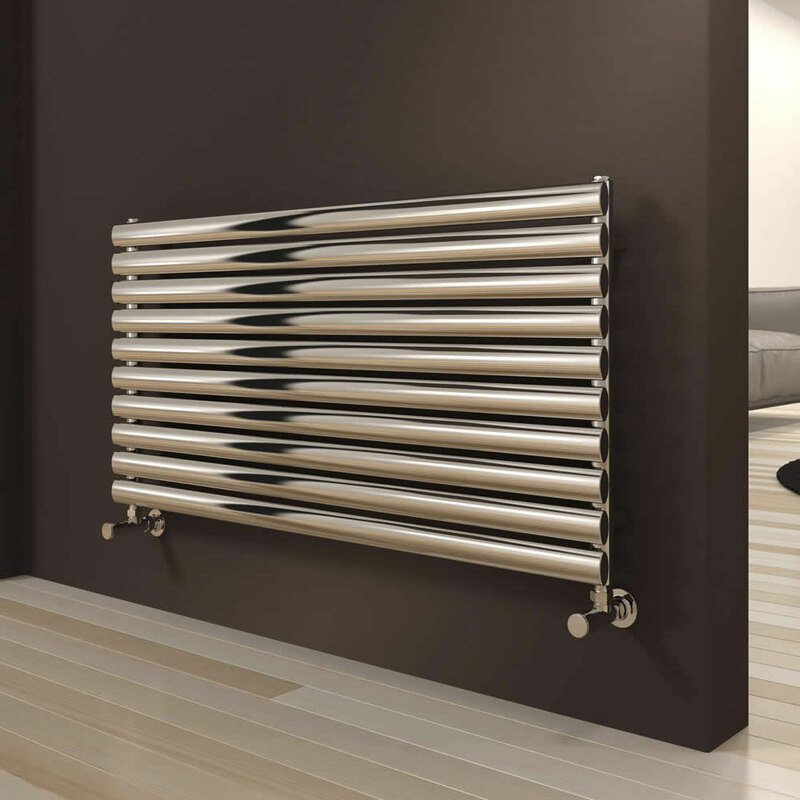 This powerfully, stylish radiator features 10 polished tubes which provide a high heat output to take the bite out of winter. What could you buy with the change? This modish modern bathroom radiator will look amazing when coupled with these minimalist Reina Richmond Angled Radiator Valves - Chrome. 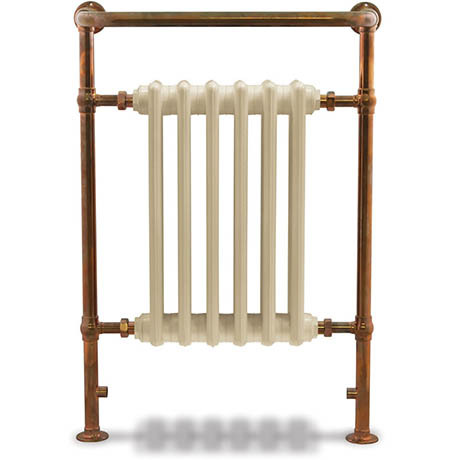 For a real statement piece, this gorgeous traditional bathroom radiator is the perfect pick. 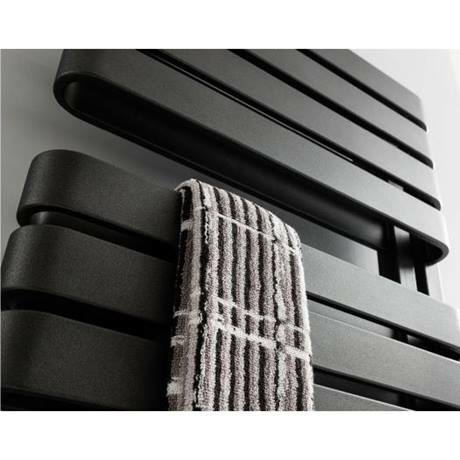 Not only is this radiator beautiful to look at, but it offers plenty of hanging space for towels and has been specially coated to protect against corrosion. What could you buy with the change? As with most towel radiators and bathroom towel rails, this stunning example doesn't come with valves included. Complete the look with Bauhaus Belle Chrome Straight Radiator Valves. This totally modern bathroom radiator features asymmetric design and would look amazing in any contemporary setting. Finished in metallic black matte, it is stylish and elegant, yet its high heat output means it really packs a punch. What could you buy with the change? This bathroom radiator comes without radiator valves which means you can choose the pair you think work best. We recommend pairing your radiator with these Bauhaus Pier Chrome Angled Radiator Valves with Lockshield to get the best look possible. For the most impressive bathroom radiator around, look no further than this radiator and television combo. 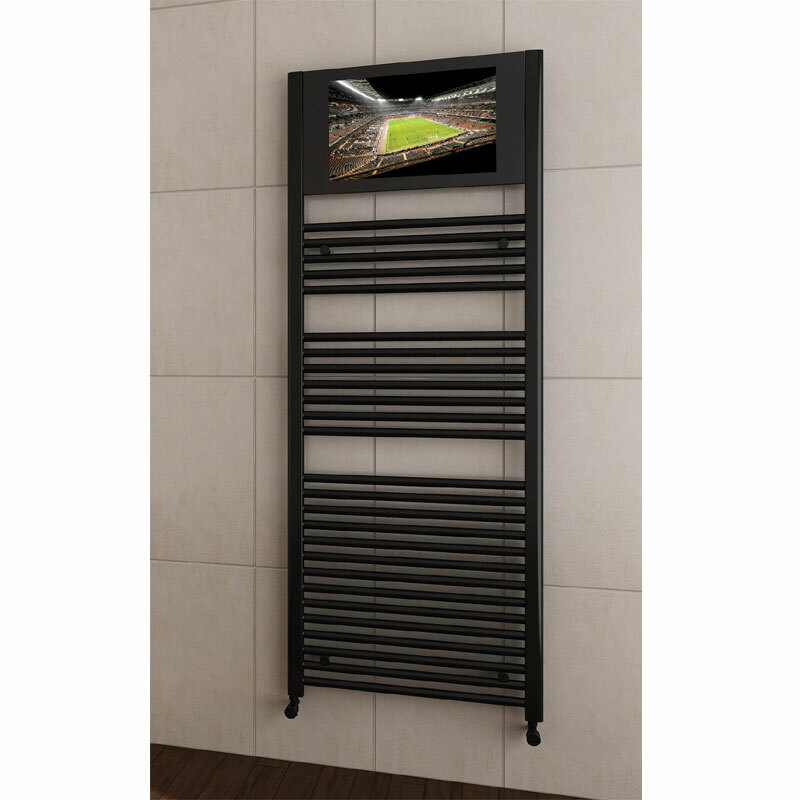 Not only can you watch your favourite program or watch the game, but this bathroom radiator offers incredible heat output to make your bathroom visits even more comfortable. What could you buy with the change? As this radiator doesn't come with valves you are able to choose which ones you want to combine it with. We suggest these gorgeous Modern Anthracite Angled Radiator Valves to get a seamless and stylish finish. 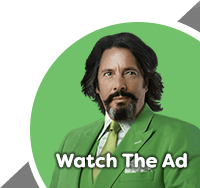 What's your budget going to do for you? Having more than £300 to spend on a bathroom radiator really does give you plenty to choose from. We believe there is certainly something in this WYB edition to get you hot under the collar, but if you're still searching then head over to our bathroom heating for more ideas. We'd love to hear your thoughts on our latest bathroom radiator WYB feature so please comment below or feel free to share this with others who may find it useful for them.